Richard Russo is the author of nine novels, two collections of short stories, a memoir, and several produced screenplays. Empire Falls won the 2002 Pulitzer Prize for Fiction, and his adaptation of the book for HBO was nominated for an Emmy. His collection of essays, The Destiny Thief, will be published in 2018. He and his wife, Barbara, live in Portland, Maine. Joyce Carol Oates is the author most recently of the novel A Book of American Martyrs and the story collection DIS MEM BER. She is a recipient of the National Book Award, the National Humanities Medal, the PEN/Malamud Award in Short Fiction, and a Lifetime Achievement Award from PEN America, among other honors. She has been a professor at Princeton University for many years and is currently Visiting Distinguished Writer in Residence in the Graduate Writing Program at New York University; in the spring term she is Visiting Professor of English at University of California, Berkeley. Her forthcoming novel is Hazards of Time Travel. Neil Gaiman is an award-winning author of books, graphic novels, short stories, and films for all ages. His titles include Norse Mythology, The Graveyard Book, Coraline, The View from the Cheap Seats, The Ocean at the End of the Lane, Neverwhere, and the Sandman series of graphic novels, among other works. His fiction has received Newbery, Carnegie, Hugo, Nebula, World Fantasy, and Eisner awards. The film adaptation of his short story “How to Talk to Girls at Parties” and the second season of the critically acclaimed, Emmy-nominated television adaptation of his novel American Gods will be released in 2018. Born in the UK, he now lives in the United States. 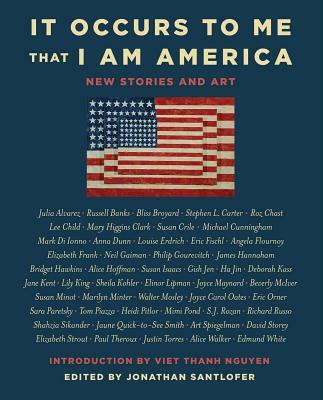 "A terrific collection of short stories and art, which you will enjoy reading even more because the book supports the ACLU. Needed now more than ever."